le chaudron de vulcain – January 11 , 2018 . EN. 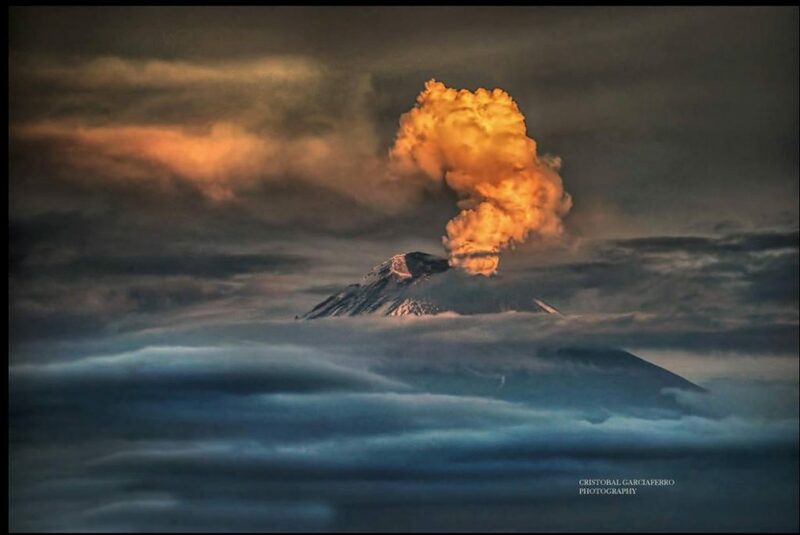 Kadovar , Nevado del Ruiz , Sinabung , Popocatepetl . Home / blog georges Vitton / January 11 , 2018 . EN. 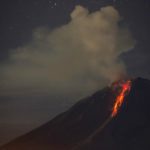 Kadovar , Nevado del Ruiz , Sinabung , Popocatepetl . January 11 , 2018 . The RVO said that from 7 to 8 January, ashes continued to be issued and dispersed tens of kilometers to the west. 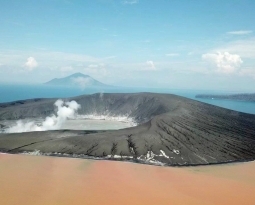 Two members of the Rabaul Volcanological Observatory were sent to Kadovar to install seismometric sensors. Others are expected to conduct an inspection overflight of Kadovar Island. 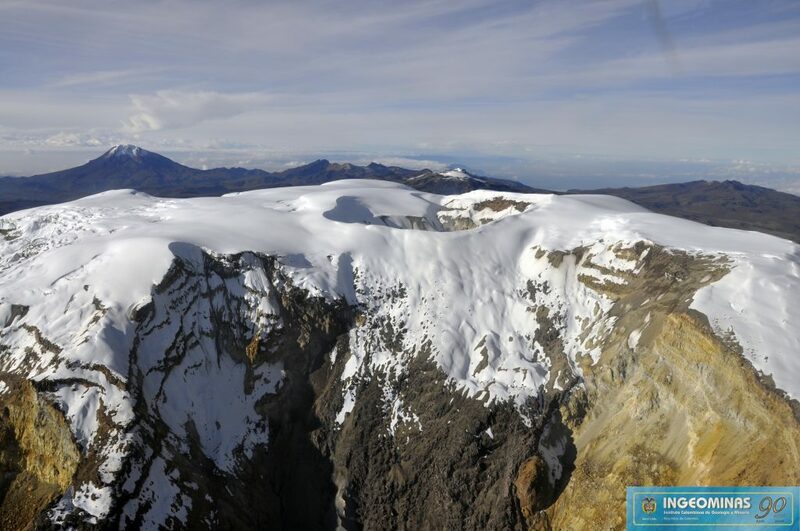 During the last week, the various monitoring parameters show that the Nevado del Ruiz volcano continues to display unstable behavior. 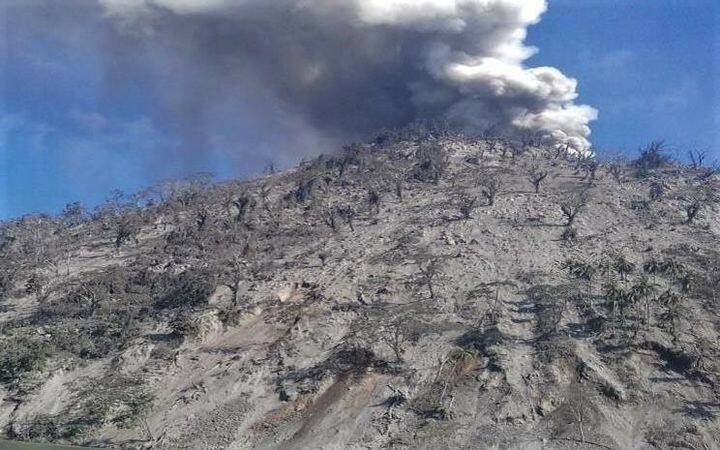 The seismicity caused by the fracturing of the rocks that make up the volcano showed a slight increase in the number of earthquakes and released seismic energy compared to the previous week. The increase in seismic activity, on 4 January, was highlighted, located 3 km north of Arenas crater, at depths between 4 and 6 km. During this increase, the largest earthquake of the last week was recorded, with a value of 2.1 ML (Local Magnitude), at 08:37 (local time), located 3.1 km to the North The other active sources during the last week were the Arenas crater and the North, Northeast, Southeast and Southwest zones, with depths of between 1.1 and 7.7 km away. 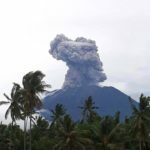 The seismic activity associated with fluid dynamics in the channels of the volcanic structure decreased both by the number of recorded earthquakes and the released seismic energy, compared to the previous week. This type of activity is characterized mainly by the occurrence of multiple fluid earthquakes, long periods and very long periods, as well as tremor impulses. The earthquakes were located mainly in the vicinity of the Arenas crater and in the south-east and south areas of the volcano. 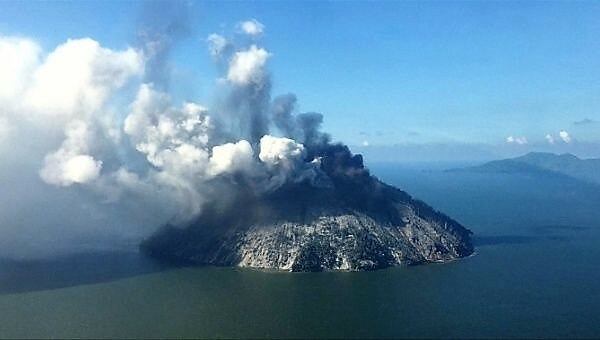 The volcanic deformation measured from electronic inclinometers, Global Navigation Satellite System (GNSS) stations and radar images, show a stability behavior without recording any significant deformation process of the volcanic structure. The volcano continues to emit water vapor and gases into the atmosphere, among which the sulfur dioxide (SO2) is distinguished, as evidenced by the values obtained by the SCANDOAS stations installed on the volcano and the analysis satellite images. 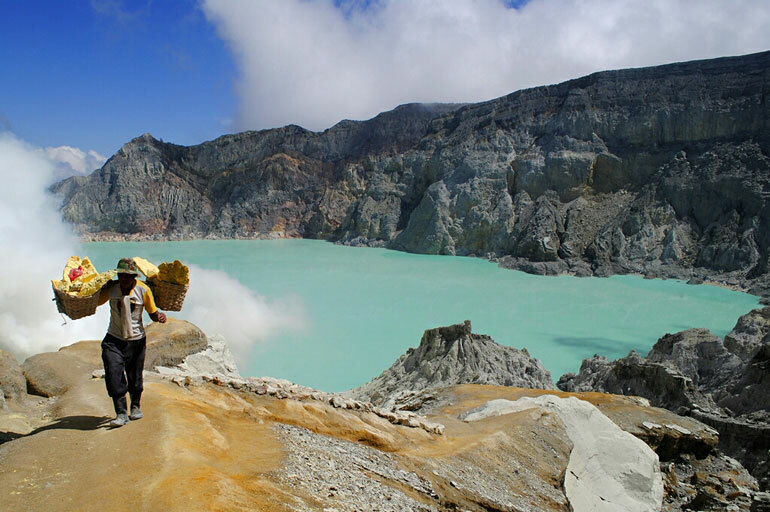 In tracking the information provided by the MIROVA and NASA FIRMS portals, several thermal anomalies were recorded in the vicinity of the Arenas crater. 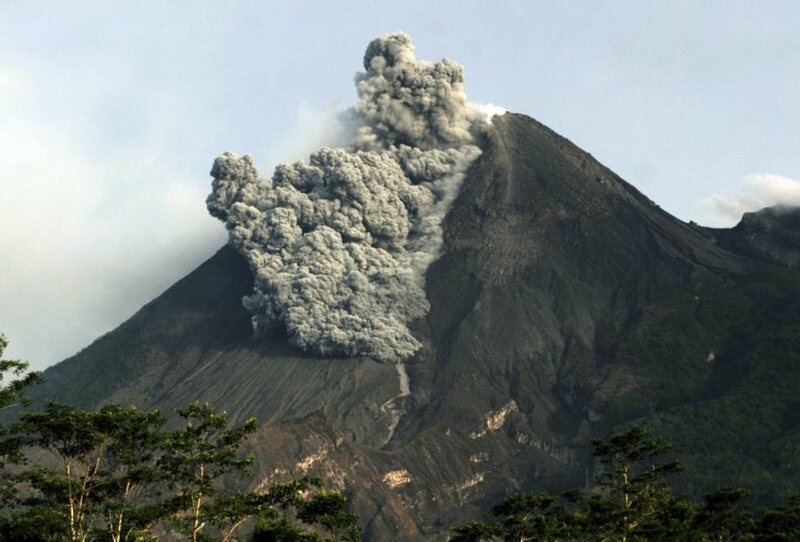 The column of gas and steam reached a maximum height of 800 m measured at the top of the volcano, January 7. The direction of the dispersion of the column was governed by the direction of the wind in the area, which during the week predominated to the northwest and southwest relative to the crater Arenas. Activity Level of level IV (AWAS). The Sinabung (2460 m altitude) since yesterday until this morning was often covered with fog. 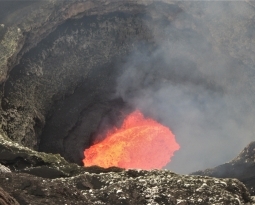 The smoke rising from the crater, during the periods when the volcano was discovered, could be observed rising from 50 to 500 m above the volcano. The wind is blowing moderately to the east. 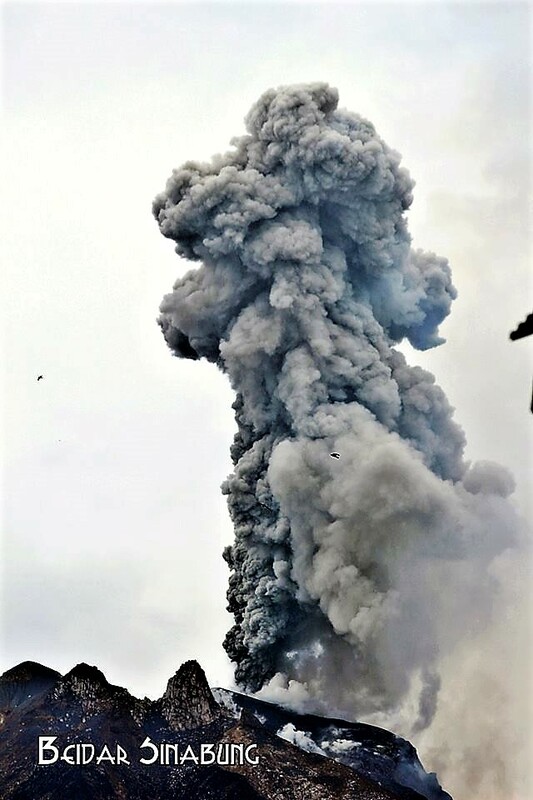 Thanks to the recording of the seismographs of January 10, 2018, 3 eruption / emission events were recorded with ash columns rising at altitudes of 700 to 1500 m above the ridges. Finally, 60 avalanche events with slip distances of 500 to 1500 m were recorded on the South, South – East and East slopes. Issued: January 11 , 2018. Eruption with ash clouds at 03:02 UTC (10:02 local time). The eruption lasted for 290 seconds. Best estimate of ash-cloud top is around 12032 FT (3760 M) above sea level, may be higher than what can be observed clearly. Source of height data: ground observer. 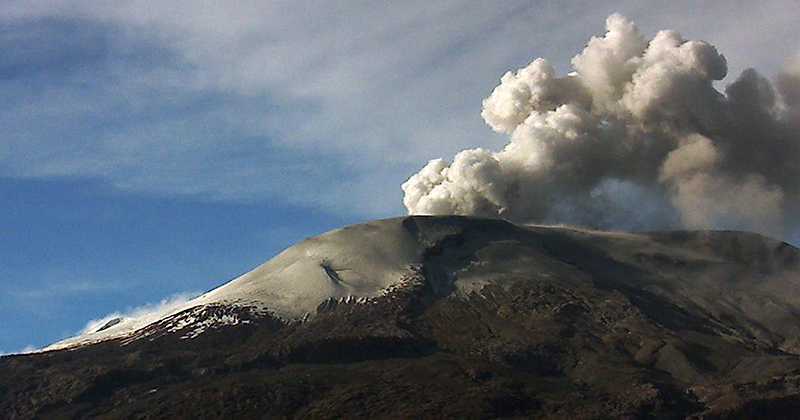 During the last 24 hours, thanks to the monitoring systems of the Popocatepetl volcano, 301 low intensity exhalations accompanied by steam, gas and sometimes small amounts of ash have been identified. Two more explosions were recorded yesterday at 12:35 and 12:49. In addition, 342 minutes of low-amplitude harmonic tremors and eleven volcano-tectonic earthquakes of magnitude between M1.3 and M3.0 were recorded, which occurred yesterday at 23:39 h.
At the time of this report, a slight emission of water vapor and other gases that disperse in the South-South-West direction is observed. 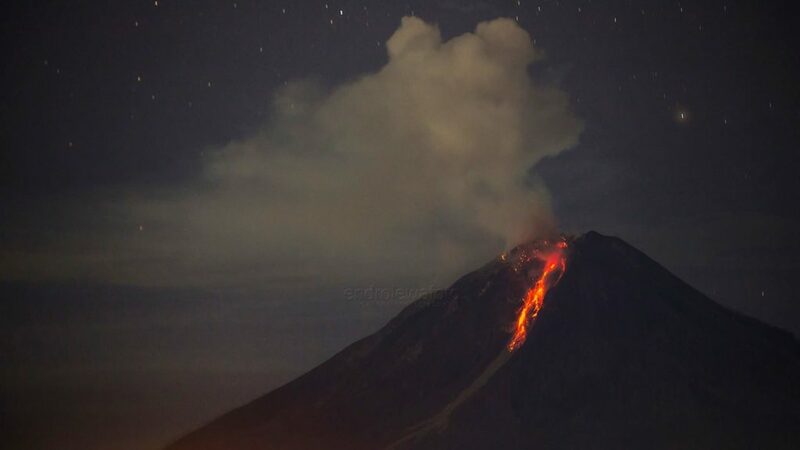 CENAPRED asked not to approach the volcano and in particular the crater, because of the risk of falling of projectiles, and in case of heavy rain to stay away from the bottoms of the ravines, following the danger of landslides and flows of mud.